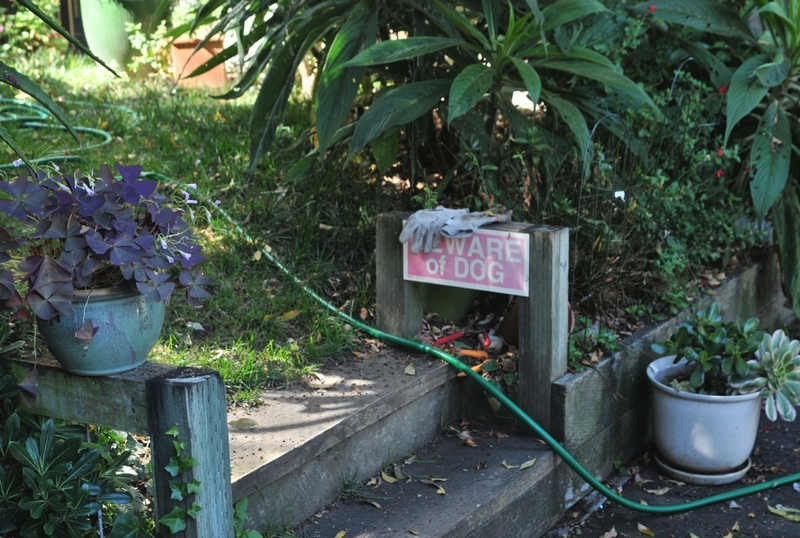 A "Beware Of Dog" sign bordering two steps up into a garden. 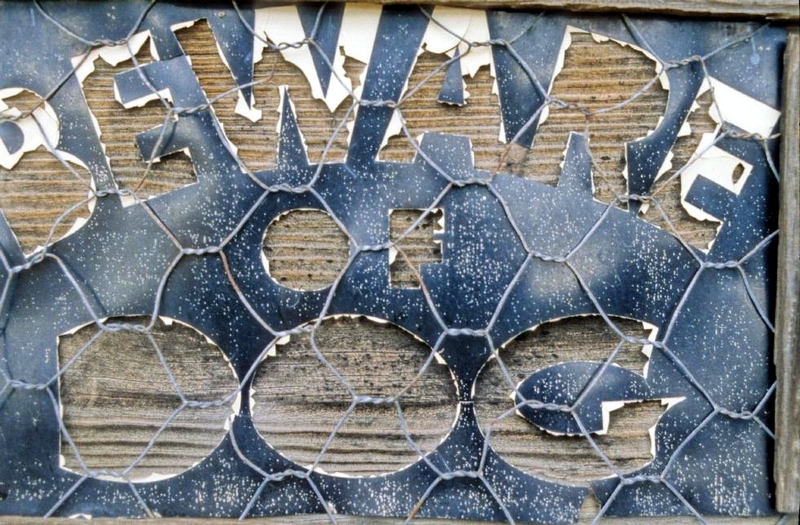 A sign found outside and old closed-down gas station in the California Mojave Desert. 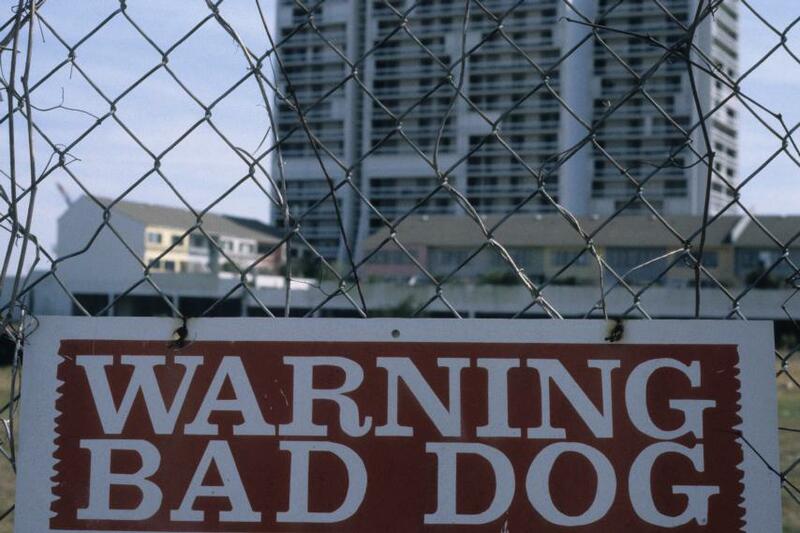 In a variation on the traditional "Beware Of Dog" sign was this "Warning Bad Dog" sign on an cyclon fence on Sullivan Island, South Carolina.